You are browsing the archive for Mapping. 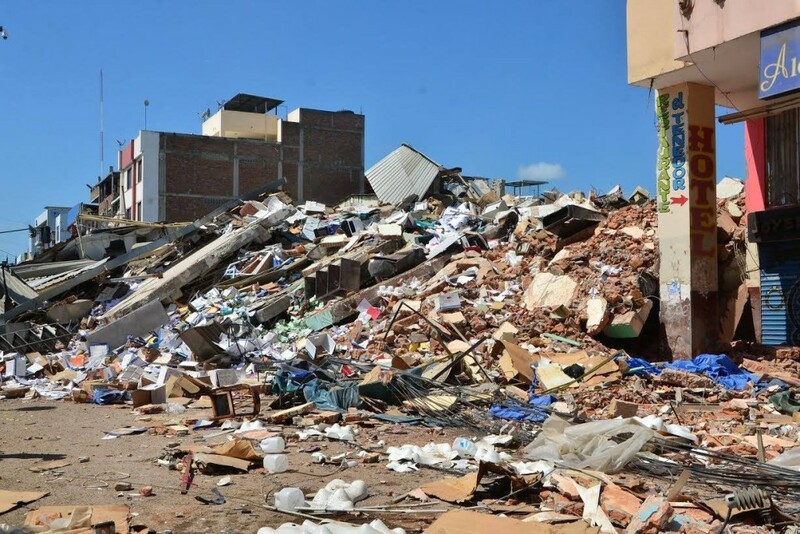 On April 16th, a magnitude-7.8 earthquake hit the coast of Ecuador. 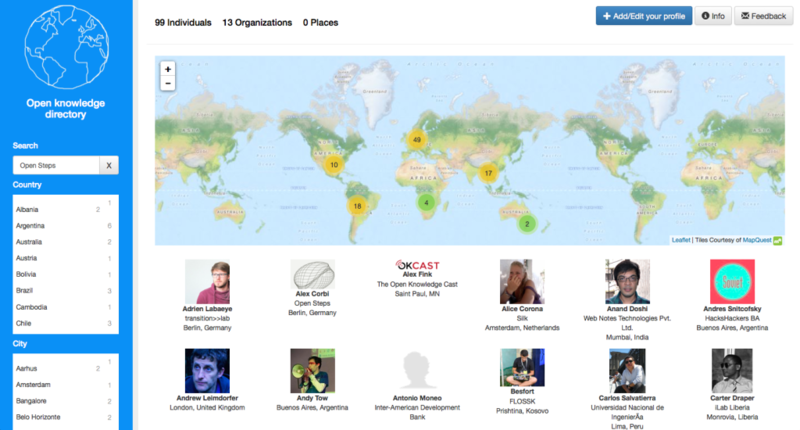 As the victim count reached near 300 people on Sunday, the Open Data community around the globe organized to create a base map for rescue and distress relief purposes. A lot has been done in a short time, but there is still plenty to do. You don’t need to live in Ecuador to help the volunteers: mapping can be done from wherever you are. If you don´t know how, start with this wiki document. 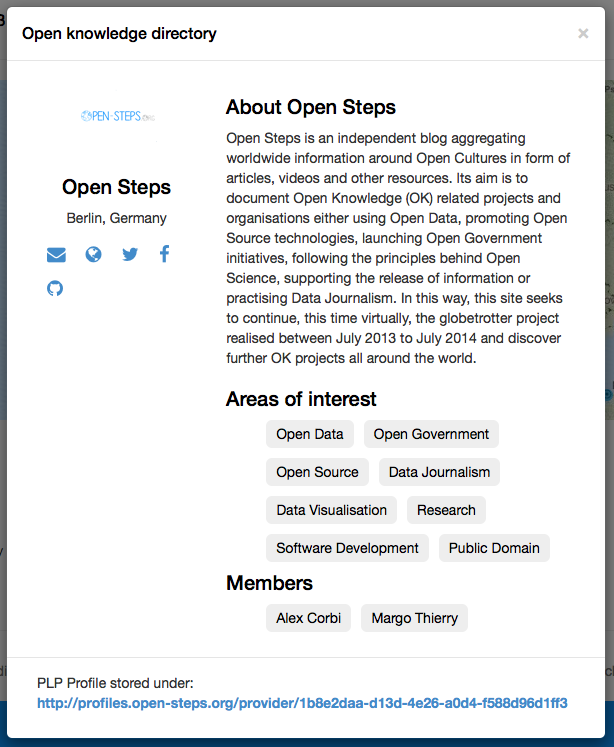 Open Street Maps (OSM) is just one of the tools you can use without being in Ecuador. It basically digitalizes satellite images and transforms them into an open and editable database and a map so rescue squads and people in general know where to allocate resources or avoid risks. The OSM Task Manager prioritizes and divides the work among users so volunteer work won´t overlap. This is where to begin. Mapping efforts are conducted by Humberto Yances (Humanitarian Open Street Map Team) and Daniel Orellana (Open Street Maps Ecuador), who launched two tutorials in Spanish yesterday, for basic and intermediate mappers. You can a tutorial in english here. If you are in Ecuador, there are other ways to help beside Open Street Maps: platform Mapa Desastre allows you to send and visualize reports on specific issues and their geographic location. You can also set GPS alerts based on their changing location. All of this data is also public and available for both the general population and humanitarian squads. Another indispensable tool for those in Ecudaor is Google Person Finder, an online repository where you can search for missing people or send information about lost people you found yourself. 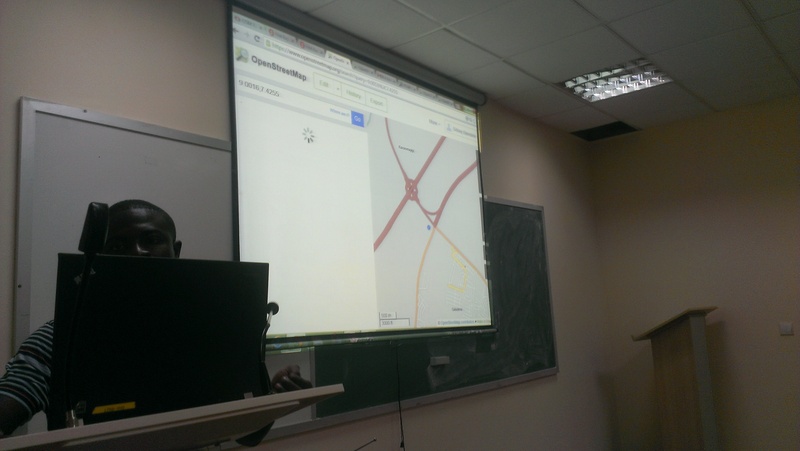 Mapillary and Open Street Map Android Tracker allow you to upload pictures of specific locations at the disaster. To strenghten the ranks of volunteer mappers, Open Data Ecuador organized yesterday, April 18, a workshop to train volunteers to map at the Ciespal building in Quito. This article is a translation by Gibrán Mena from an original article in Spanish published on the Escuela de Datos website. 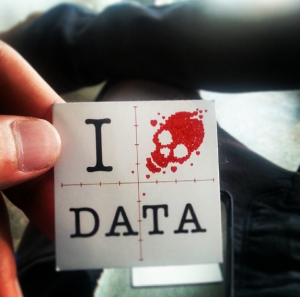 Data love is spreading like never before. 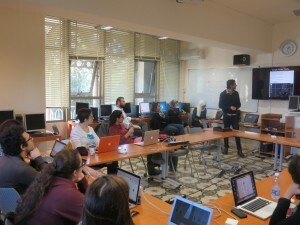 Unlike previous workshops we did in the MENA region, on the 18th of January 2015, we gave an intensive data journalism workshop at the American University of Beirut for four consecutive days in collaboration with Dr. Jad Melki, Director of media studies program at AUB. The Data team at Data Aurora were really happy sharing this experience with students from different academic backgrounds, including media studies, engineering or business. 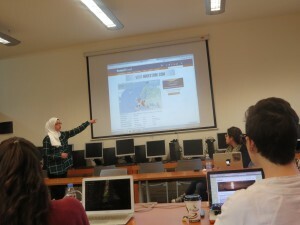 The workshop was mainly led by Ali Rebaie, a Senior School of Data fellow, and Bahia Halawi, a data scientist at Data Aurora, along with the data community team assistants; Zayna Ayyad and Noor Latif. 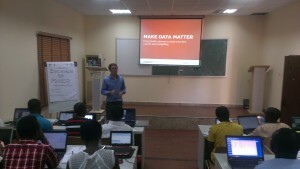 The aim of the workshop was to give the students an introduction to the world of open data and data journalism, in particular, through tutorials on open source tools and methods used in this field. Moreover, we wanted to put students on track regarding the use of data. On the first day, the students were introduced to data journalism, from a theoretical approach, in particular, the data pipeline which outlined the different phases in any data visualization project: find, get, verify, clean, analyze and present. After that, students were being technically involved in scraping and cleaning data using tools such as open refine and Tabula. 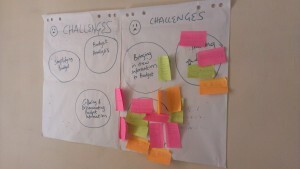 Day two was all about mapping, from mapping best practices to mapping formats and shapes. Students were first exposed to different types of maps and design styles that served the purpose of each map. Moreover, best mappings techniques and visualizations were emphasized to explain their relative serving purpose. Eventually, participants became able to differentiate between the dot maps and the choropleth maps as well as many others. Then they used twitter data that contained geolocations to contrast varying tweeting zones by placing these tweets at their origins on cartodb. Similarly, they created other maps using QGIS and Tilemill. The mapping exercises were really fun and students were very happy to create their own maps without a single line of code. On the third day, Bahia gave a lecture on network analysis, some important mathematical notions needed for working with graphs as well as possible uses and case studies related to this field. 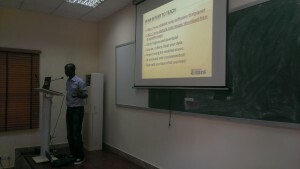 Meanwhile, Ali was unveiling different open data portals to provide the students with more resources and data sets. 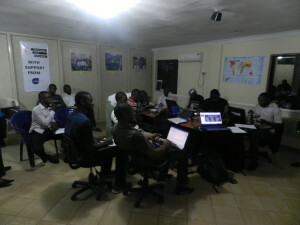 After these topics were emphasized, a technical demonstration on the use of Gephi to analyze two topics was performed. Students were analyzing climate change and later, the AUB media group on Facebook was also analyzed and we had its graph drawn. 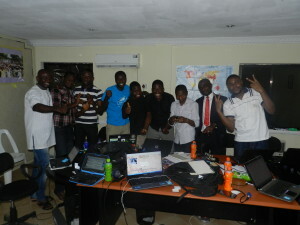 It was very cool to find out that one of the top influencers in that network was among the students taking the training. Students were also taught to do the same analysis for their own friends’ lists. Facebook data was being collected through Netviz and the visualizations were being drawn using Gephi. 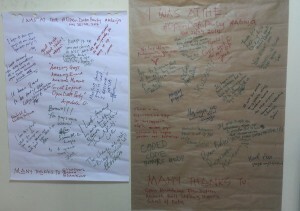 After completing the interactive types of visualizations, the fourth day was about static ones, mainly, infographics. Each student had the chance to extract the information needed for an interesting topic to transform it into a visual piece. 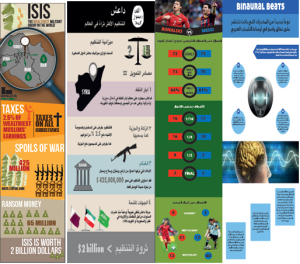 Bahia was working around with students, teaching them how to refine the data so that it becomes simple and short, thus usable for building the infographic design. Later, Yousif, a senior creative designer at Data Aurora, trained the students on the use of Photoshop and illustrator, two of the tools commonly used by infographic designers. 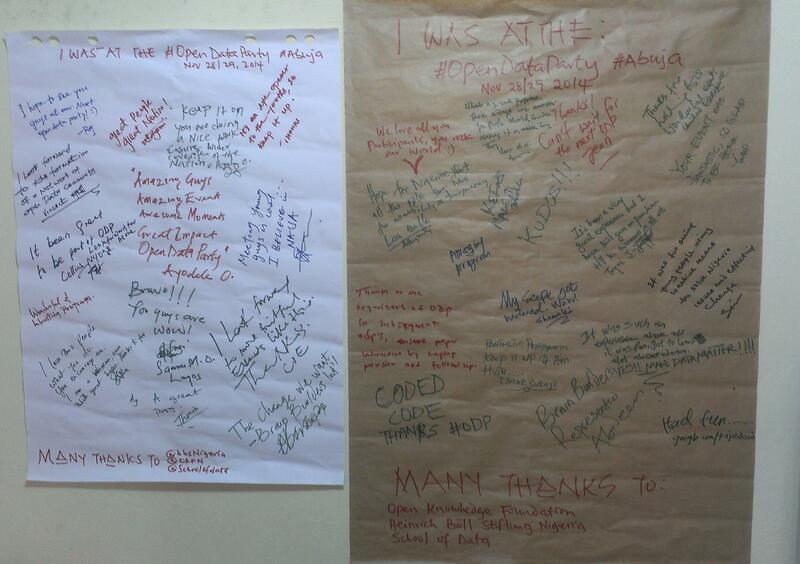 At the end of the session, each student submitted a well done infographic of which some are posted below. After the workshop Zayna had small talks with the students to get their feedback and here she quoted some of their opinions: “It should be a full course, the performance and content was good but at some point, some data journalism tools need to be more mature and user-friendly to reduce the time needed to create a story,” said Jad Melki, Director of media studies program at AUB, “it was great overall.” “It’s really good but the technical parts need a lot of time. We learned about new apps. Mapping, definitely I will try to learn more about it,” said Carla Sertin, a media student. “It was great we got introduced to new stuff. Mapping, I loved it and found it very useful for me,” said Ellen Francis, civil engineering student. “The workshop was a motivation for me to work more on this,” she added, “it would work as a one semester long course.” Azza El Masri, a media student, is interested in doing MA in data journalism. “I like it I expected it to be a bit harder, I would prefer more advanced stuff in scraping,” she added. 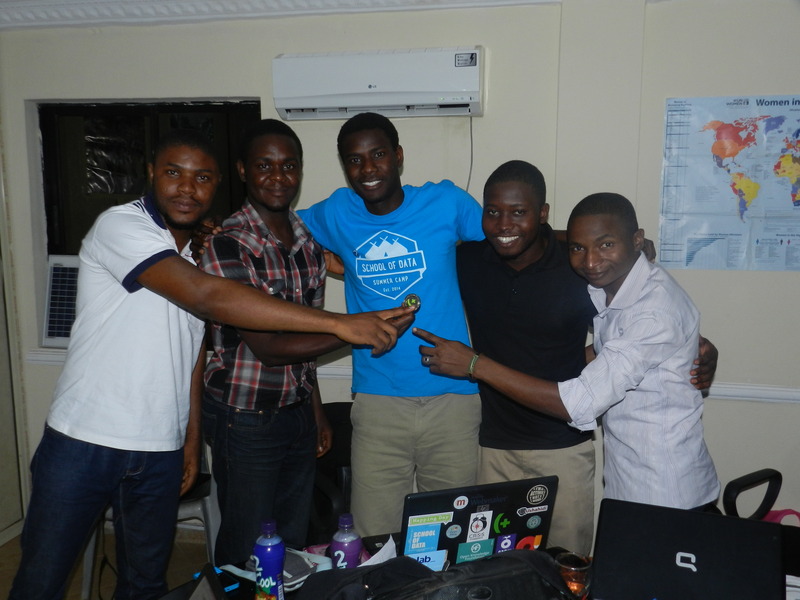 So what happens when you have 102 Nigerians representing all the six regions of the country in Abuja to teach and learn about what they can use data or open data for? 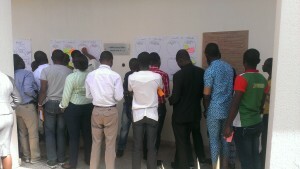 “It was an action – packed, idea generating, brain storming, mind grooming which will help me in my advocacy as well as in tracking how the budget of my country is being spent, a challenging and yet fun – filled event” as described by Clinton Ezeigwe of People to People International; “As someone working in a non-government organization, this event has boost my knowledge on data sourcing, data collection, data analysis, and will help me in mapping my work environment” informed Aniekan Archibong of Partners for Peace in Akwa Ibom state. Going through the data pipeline (data sourcing, collection, collation, analysis, reporting and use) surprisingly, we got this shock again! 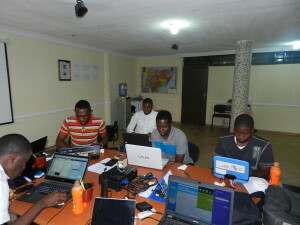 Only 2% of the participants knew where to quickly find the available data of the federal government budget in Nigeria. 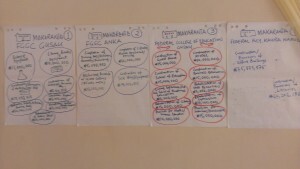 Whilst data pipelines was meant to guide participants through the data management processes (in a participatory manner) it was another opportunity to share where the available data are online in the country, and how they can be used in advocacy and storytelling to start conversation around transparency and accountability; and also in exchanging feedbacks between the people and government. 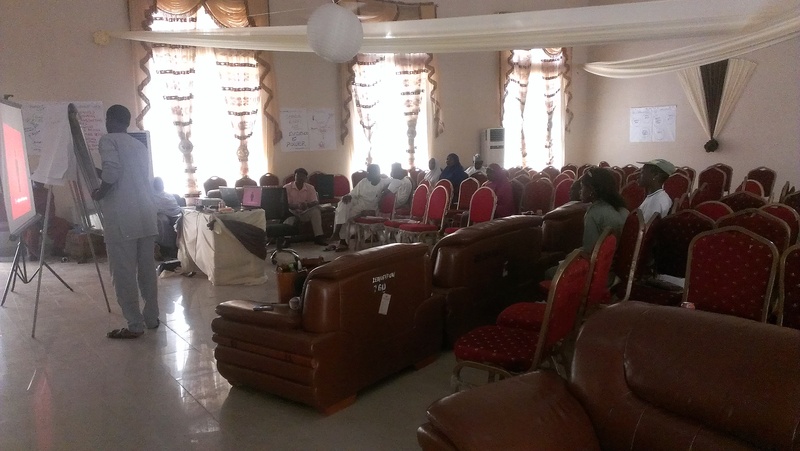 Leading the skill share session was Adam Talsma of Reboot taking participants through using formhub and textit and Michael Egbe of eHealth Africa introducing participants to how they are mapping Nigeria using Open Street Maps. The storytelling sessions had Tina Armstrong, an award winning data journalist that is interested in telling stories of vulnerable communities using data; Joshua Olufemi shared skills and tools that has made Premium Times the best online investigative media in the country; while the session was rounded up by Ledum of Right to Know, showing participants how to enact the Freedom of Information Act in getting data from the government. The high point of the first day was the, I want to learn, and I want to teach session – a remix of the School of Data Summer Camp World Cafe and Skill Share Session. 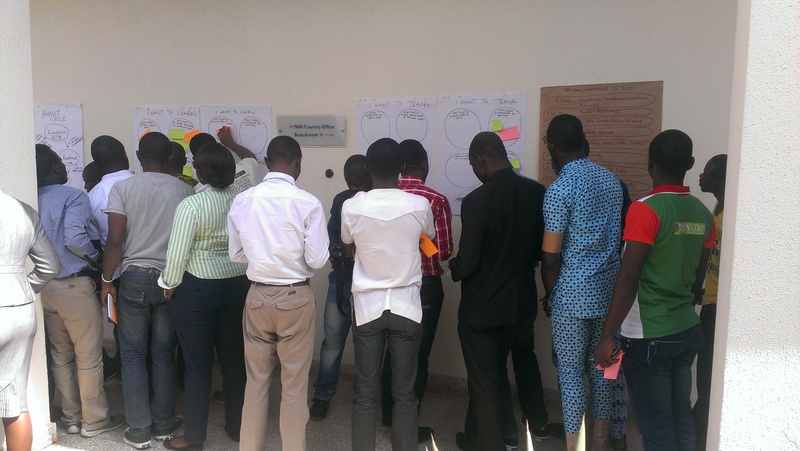 “Learning particular skills in 10 minutes can be mind blowing and something I will not want to forget in a long time, I only hope we could have had more time other than the 30 minutes for the 10 min/skill session” narrated Michael Saanu of Africa Hope Foundation. 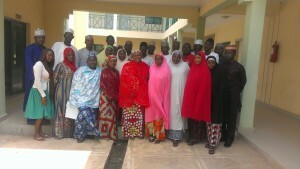 Amongst skills that were taught is using Microsoft Excel for analysis, creating Survey form using Google Form, collaboration techniques with the Google Drive, writing funding proposals, community building, using Twitter and Facebook for advocacy, data scraping using Tabula amongst others. After this session, it was clear that participants wanted to be part of all the sessions, but they were only limited to three, as the night crept in faster than we expected – what an energetic way to end the first day! Kick starting day 2, with the sun and expectations so high was lessons from participants, and an ice breaker on the power of around leadership. This day was dedicated to Open Street Maps Goronyo Mapping Party and Data Sprint on Funds meant for inputs in the health sector. Moving from scraping the data from the budget office to visualizing it, and creating a monitoring instrument amongst the participants. Working through the available health facility data for Goronyo, we found out that most data were not reliable – How can we have latitude of 322 on a latitude column on data from the just released NMIS data? So if we can’t use that, how do we get the government health facility data – most participants of this group concluded that the dhis2 data could be more reliable but its usage still remains difficult! 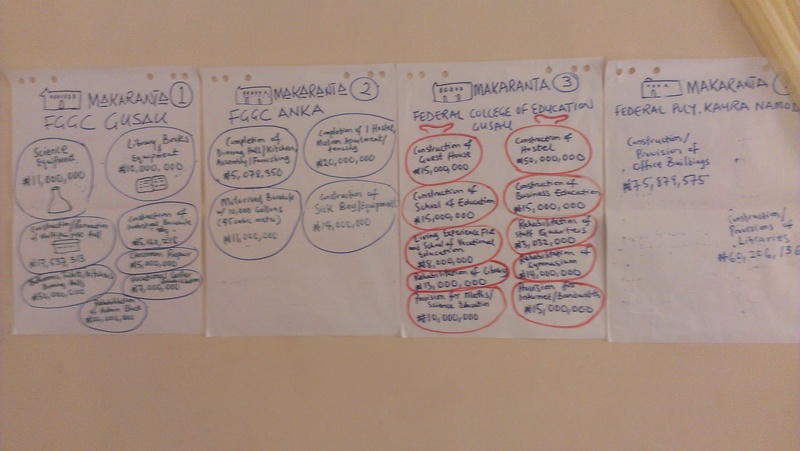 Anyone wants to help in getting Goronyo health facility geo-referenced data? Please comment here. 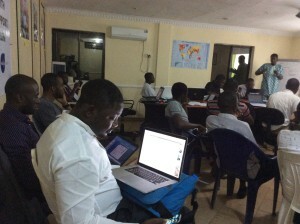 Not giving up, Sidney Bamidele of eHealth Africa trained participants on how to add, and edit points on open street maps and how to create task managers on HOTOSM. 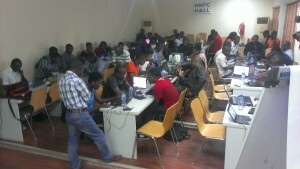 Nevertheless, the data sprint with music, and drinks took the whole day, and I couldn’t stop hearing – OMG! So 20 million was budgeted for the construction of this health facility in my LGA, how come it is still at this state, I think we need to go and ask”; “I have found that so many time, descriptions of budget data has been duplicated – and how do we stop this”. As it has always been, only one sprinter had an apple laptop out of the 50 laptops on the tables; Most of the participants agreed that only 30% of Nigerians own a smart phone, so how many will used it, and how many will use an android or that new android app you are about to make? Maybe the feature of mobile activism in the country still lies in feature phones. These and many are conversations that always ensue during training and data sprint sessions I have facilitated. At the end what did we make – an Ushahidi Crowdmap instance of where funds for health input will go? a first step in starting a conversation around monitoring service delivery in that sector. 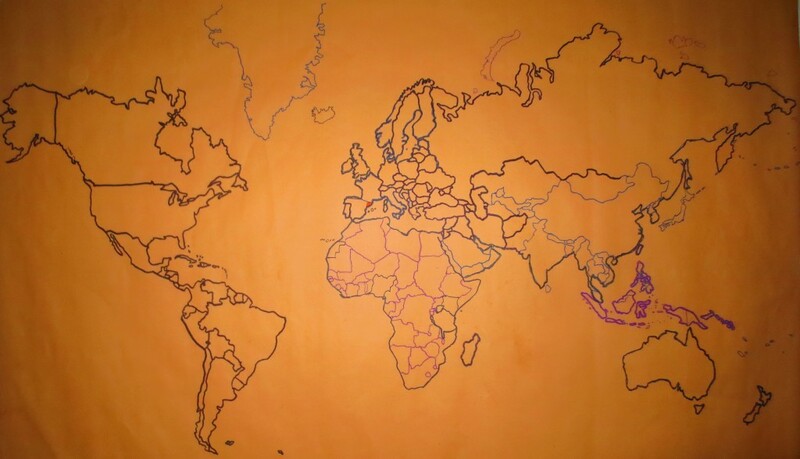 Each pair is a corner of the polygon, so if you plotted them on a map and connected the dots, you would get the outline of the feature. Awesome! Geospatial data comes in a variety of formats, like shapefiles, and KML. 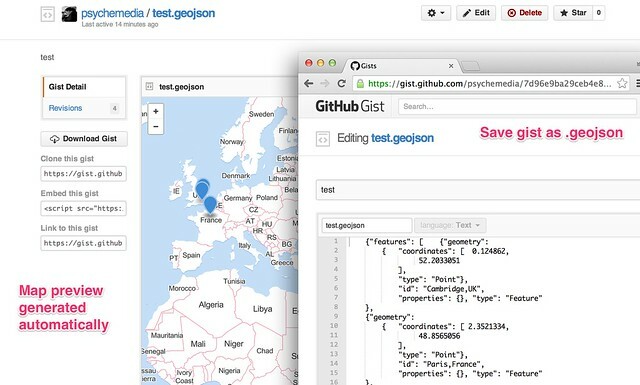 However the emerging standard, particularly for use in web applications, is GeoJSON. Not surprisingly, this is the format supported by D3 and the one we’ll be using. Depending on the region you’re trying to map, GeoJSON polygons defining features in that region may be easy to find — like these GeoJSON files for all counties in the United States. On the other hand, particularly if you’re interested in the developing world, you’ll probably need to be more creative. To map cities in Syria, I tracked down a shapefile from an NGO called Humanitarian Response, and then converted that shapefile to GeoJSON using a tool called ogr2ogr. Fortunately for you, I’ve made the GeoJSON file available, so just download that and you’ll be ready to go. With our polygons in hand, we can start mapping. Remember that latitude and longitude coordinates denote positions on the surface of the Earth, which is not flat (it is an ellipsoid). Your computer screen is a plane (which means it’s flat), so we need some way to translate the position of a point on a curved surface to its corresponding point on a flat surface. The algorithms for doing this are called “projections.” If, like me, you’ve forgotten most of your high school geometry, you’ll be pleased to learn that D3 comes included with a number of popular projections, so we won’t need to write one. Our only job is to choose the correct projection for our visualization. The Albers and Azimuthal Equal Area projections are recommended for choropleth maps, but I found both rendered my cities in a way that didn’t connect all the points in the polygons from our shapefile, so some of the city outlines didn’t form an enclosed shape. This made it impossible to shade each city without the color overflowing into other parts of the map. Although this is probably due more to my lack of familiarity with the specifics the Albers and Azimutha projections, I found that the Conic Conformal projection worked out of the box, so that’s the one I chose. Now that you understand the background, we can start coding. First, attach an element to the DOM that will serve as our canvas. Next create an SVG element and append it to the map DOM node we just created. We’ll be drawing on this SVG element in just a second. Despite the rather lengthy explanation, defining the projection in our application is actually fairly straightforward. With a projection ready to go, we’re ready to instantiate a path. This is the path across your browser window D3 will take as it draws the edges of all our city polygons. Finally, let’s give some geospatial data to our path object. This data will be projected to x, y pairs, representing pixel locations on our SVG element. When D3 connects these dots, we’ll see the outlines of all the cities in Syria. Let’s use d3′s json method to retrieve the GeoJSON file I referenced earlier. That’s it! Most of the heavy lifting is taken care of by D3, but in case you’re curious about what’s happening, here’s a little more detail. Our GeoJSON file contains an array of features, each of which is a polygon (which is represented as an array of longitude, latitude coordinate pairs). We pass the polygon to our path using the datum method, and the polygon is then converted by our projection to a linestring of pixel positions which is used by the browser to render a path DOM node inside our svg element. Phew. With a working map of the country, we can now change its appearence and add interactivity just like any other DOM node. Next week we’ll use the CrisisNET API to count reports of violent incidents for each city in Syria, and shade each city on the map with CSS based on those report counts. In the meantime you can checkout the full, working map on our Syria project page. Having access to geo-data is one thing, quickly sketching it on to a map is another. In this post, we look at how you can use OpenRefine to take some tabular data and export it in a format that can be quickly visualised on an interactive map. At the School of Data, we try to promote an open standards based approach: if you put your data into a standard format, you can plug it directly into an application that someone else has built around that standard, confident in the knowledge that it should “just work”. That’s not always true of course, but we live in hope. In the world of geo-data – geographical data – the geojson standard defines a format that provides a relatively lightweight way of representing data associated with points (single markers on a map), lines (lines on a map) and polygons (shapes or regions on a map). Many applications can read and write data in this format. In particular, Github’s gist service allows you to paste a geojson data file into a gist, whereupon it will render it for you (Gist meets GeoJSON). So how can we get from some tabular data that looks something like this: Into the geojson data, which looks something like this? [We're assuming we have already geocoded the location to get latitude and longitude co-ordinates for it. To learn how to geocode your own data, see the School of Data lessons on geocoding or this tutorial on Geocoding Using the Google Maps Geocoder via OpenRefine]. One approach is to use OpenRefine [openrefine.org]. 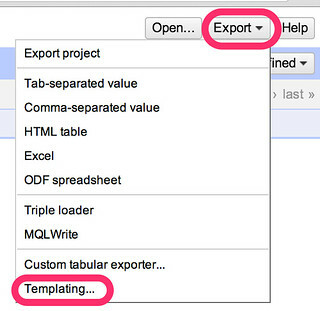 OpenRefine allows you to create your own custom export formats, so if we know what the geojson is supposed to look like (and the standard tells us that) we can create a template to export the data in that format. 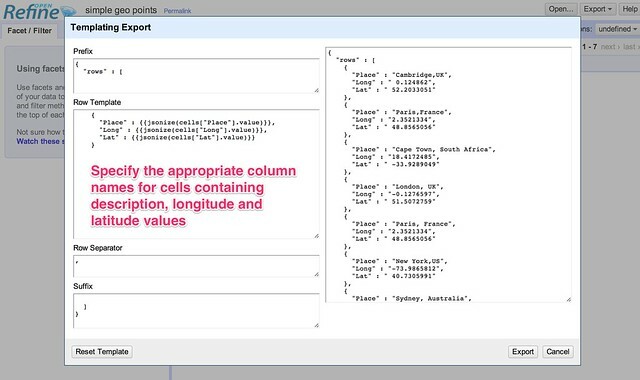 If we copy the geojson output from the preview window, we can paste it onto a gist to generate a map preview that way, or test it out in a geojson format checker such as GeoJSONLint: I have pasted a copy of the OpenRefine template I used to generate the “lines connecting points” geojson here: OpenRefine export template: connected places geojson. Finally, it’s worth noting that if we can define a standardised way of describing template generated outputs from tabular datasets, libraries can be written for other programming tools or languages, such as R or Python. These libraries could read in a template definition file (such as the gists based on the OpenRefine export template definitions that are linked to above) and then as a direct consequence support “table2format” export data format conversions. Which makes me wonder: is there perhaps already a standard for defining custom templated export formats from a tabular data set?